Paul Robinson was Laboratories Director and President, Sandia Corporation at Sandia National Laboratories (1995-2005). Other institutional affiliations include Ebasco Services Inc. and Los Alamos National Laboratory. His research interests include laser isotope separation research including work on uranium enrichment, laser spectroscopy, laser induced chemistry and tunable lasers. He also worked in weapons physics and arms control issues. October 9, 1941Birth, Detroit (Mich.). 1963Obtained BS, Christian Brothers College, Memphis (Tenn.). 1967Obtained PhD in Physics, Florida State University, Tallahassee (Fla.). 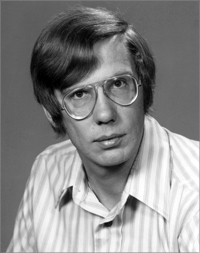 1967 – 1985Staff Member (1967-1970); Research Physicist, Advanced Concepts Groups (1970-1971); Alternate Group Leader, Chemical Laser Research and Development, Advanced Concepts Group (1971-1973); Director, Laser Isotope Separation Project, Advanced Concepts Groups (1973-1976); Leader, Applied Photochemistry Division (1976-1980); and Associate Director, National Security Programs (1980-1985), Los Alamos National Laboratory, Los Alamos (N.M.). 1985 – 1988Senior Vice President, Ebasco Services, Inc.
1988 – 1990Chief Negotiator and Head, United States Delegation, US-USSR Nuclear Testing Talks, Geneva. 1990 – 2005Staff Member (1990-1995) and Laboratories Director and President, Sandia Corporation (1995-2005), Sandia National Laboratories, Albuquerque (N.M.). 1998Member, National Academy of Engineering. 2003Awarded George E. Pake Prize, American Physical Society. Associate Director, National Security Programs. Staff Member; Research Physicist, Advanced Concepts Groups; Alternate Group Leader, Chemical Laser Research and Development, Advanced Concepts Groups; Director, Laser Isotope Separation Project, Advanced Concepts Groups; Leader, Applied Photochemistry Division; and Associate Director, National Security Programs. Staff Member and Laboratories Director and President, Sandia Corporation. Received 2003 George E. Pake Prize. Obtained PhD in Physics (1967).